Antonio Vivarini, Portrait of St. Louis of Toulouse ( 1450 ca) – detail. Louvre. Antonio Vivarini was born in Murano between 1415 and 1420. He founded a family workshop very active in Venice, in which both his son Alvise and his brother Bartolomeo would work, but, above all, Antonio is one of the biggest proponents of that transition from the Middle Ages to the Renaissance in Venice. Adoration of the Magi, 1445, Gemäldegalerie. 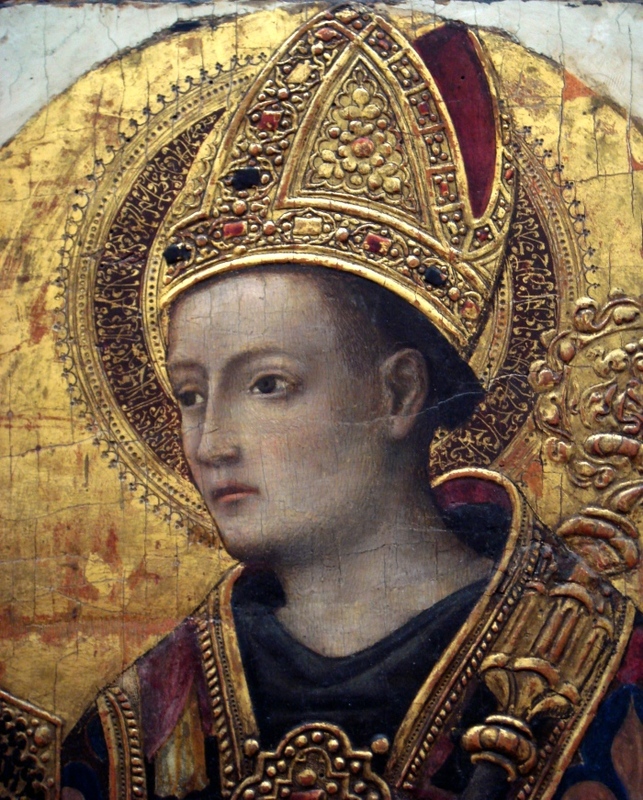 His first work was the polyptych for the Basilica in Parenzo, in Istria County, Croatia, dated 1440. The painting is influenced by the late Gothic style, known in Venice as Gotico Fiorito and as Flamboyant in France, of which the golden background is typical. Antonio Vivarini started his career working with his brother-in-law, Giovanni D’Alemagna, with whom he created some of his masterpieces, such as three polyptyches in the Venetian Church of San Zaccaria and the Church of Saint Job. Between 1447 and 1450 Andrea Mantegna contacted Antonio and Giovanni in order to paint a cycle of frescoes for the Ovetari Chapel in the Basilica Agli Eremitani in Padua. Due to Giovanni’s death, the work was interrupted and completed by Mantegna himself. READ ALSO: The Ovetari Chapel and what to see in Padua without spending your money. The encounter and the collaboration with Mantegna made Antonio modify his style, making him paint more natural figures and making him approach a transformation into a Renaissance style. The main feature of Antonio’s style is the overlapping of Gothic and Renaissance style. After his experience in Padua with Mantegna, Antonio Vivarini began working with his younger brother Bartolomeo in Venice and continued painting altarpieces until about 1467. He died between 1476 and 1484. 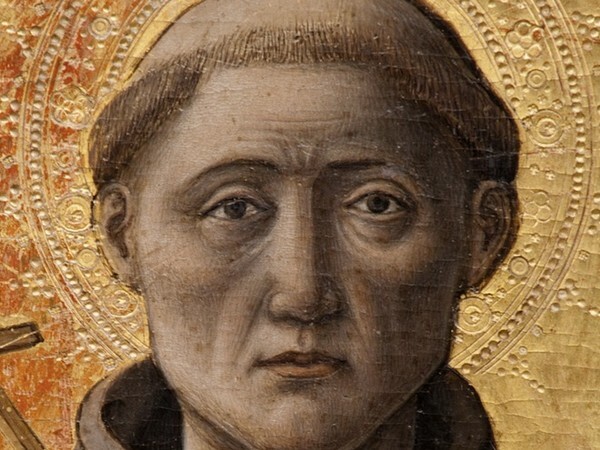 Antonio Vivarini, San Francesco d’Assisi, ca.1467 (detail) – Pinacoteca Provinciale di Bari.